As the South continues to flex its brewing clout, Athens is primed to become one of the region's crown jewels. The South has been cast as craft beer’s new frontier in recent years, with serious breweries gaining ground all over the region. And just as producers are striving to keep pace with with Stones and Dogfish Heads of the world, there are Southern cities making moves to compete with O.G. brew hubs like San Diego, Chicago, and Portland. Asheville, NC, has been widely lauded as the new brewing capital of the South thanks to tax breaks that attracted major brands like New Belgium, Sierra Nevada, and Oskar Blues to set up East Coast operations there—they joined an already thriving local scene to create the combination of clout and upstart energy that marks the country’s best beer towns. But the big question is, who’s got next? We’d put our money on Athens, GA, which complements Atlanta’s burgeoning scene (it’s only an hour away) with its own trifecta of sold-out brewfests, standout craft breweries (including the regional powerhouse Terrapin Beer Co.), and new-school gastropubs. This week marks the annual Athens Beer Week (April 7–16), so we thought there was no better time to turn our attention to this breakout beer town. Here’s what you need to know to plan a suds-fueled trip to the home of the University of Georgia Bulldogs. Exactly 19 years ago, a pioneer of Georgia’s craft-beer movement—Owen Ogletree—launched the Classic City Beer Fest (April 13) to offer an alternative to the watered-down, adjunct lagers that dominated the college town’s taps. 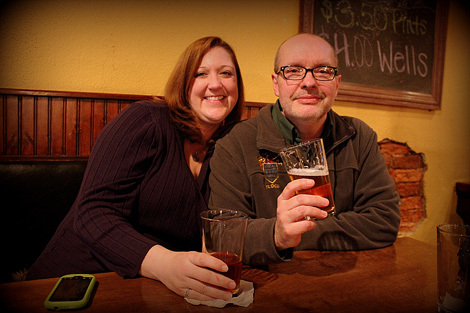 Today, he remains the beer don of Athens, and he’s played a crucial role in the city’s brew awakening. 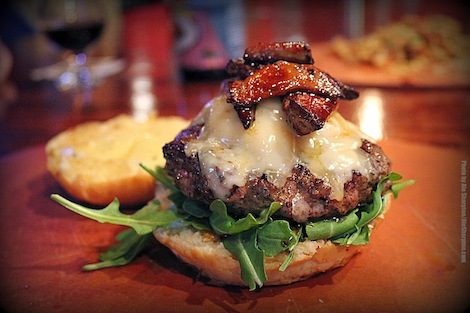 For a more upscale dining and drinking experience, Miley’s Chops & Hops restaurant just down the road is equally celebrated. If you want to kill an hour gawking at coolers and shelves loaded with hard-to-find beers from all over the world, hit up the Five Points Bottle Shop, which also has a growler station attached to it for those staying in the area. 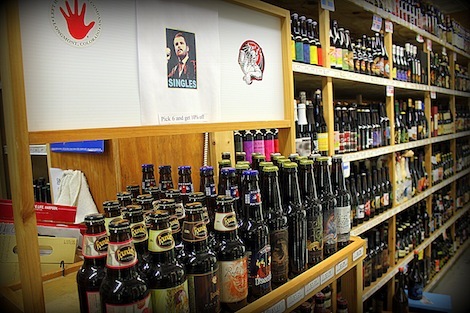 ABC Package is also a solid place to pick up local brews to take home. 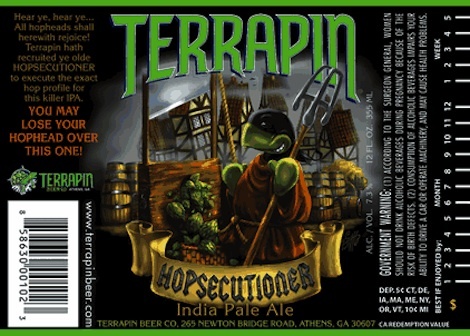 After jumping through endless hoops to get their brewery off the ground, John Cochran and Brian “Spike” Buckowski poured their first Terrapin beer—the Rye Pale Ale—in 2002. These days, they host hundreds of visitors regularly at their 45,000-square-foot brewing headquarters, where brewhounds can dig into the constantly evolving catalog of top-notch beers, including the Hopsecutioner IPA; Wake-n-Bake Coffee Oatmeal Imperial Stout; the Side Project series (Pineapple Express); and many more. The brewery is open to the public for tours and tastings Wednesday-Saturday from 5:30–7:30pm. The Future: Creature Comforts and Southern Brewing Co.
Southern beer geeks are anxiously awaiting the launch of two more breweries—Creature Comforts and Southern Brewing Company—opening this spring and midsummer, respectively. Adam Beauchamp and David Stein are the co-founders and co-brewmasters of Creature Comforts, which plans to hit the ground running with an eclectic introductory lineup. Meanwhile, co-founders Brian Roth, Rick Goddard, and brewer Mark Mooney have their highly anticipated Southern Brewing Company on deck for a late summer launch. 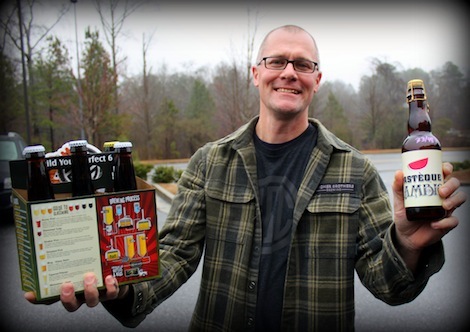 Roth has already gained legions of fans at beer events across Georgia, where he’s previewed funky creations like Vlad Moon Rising Imperial Beet Kölsch and Pumpkin Goze, brewed with roasted pumpkin seeds. There’s no telling what will come out of SBC’s 10,000-square-foot brewery once the doors open.